You all know how much I love my little Keeway RKS 125cc. You all also now how much I like to sing his praises and report how well he is doing despite his Chinese crap stigma. So it is not easy to report that my little man is perfect no longer. He has broken out in a terrible rash. Call them pimples, blisters or bubbles his fuel tank is covered in them. I noticed the first blister a couple of months back, slowly followed by a couple more. However over the last few weeks the number and size of these blisters has suddenly increased dramatically. Some photos of the blisters. I put up the photos on our Facebook page https://www.facebook.com/BikesAndTravels/ and another motorbike forum and asked some advice as to what these may be. Due to one suggestion I pricked a pin into a couple of the blisters but no moisture came out. 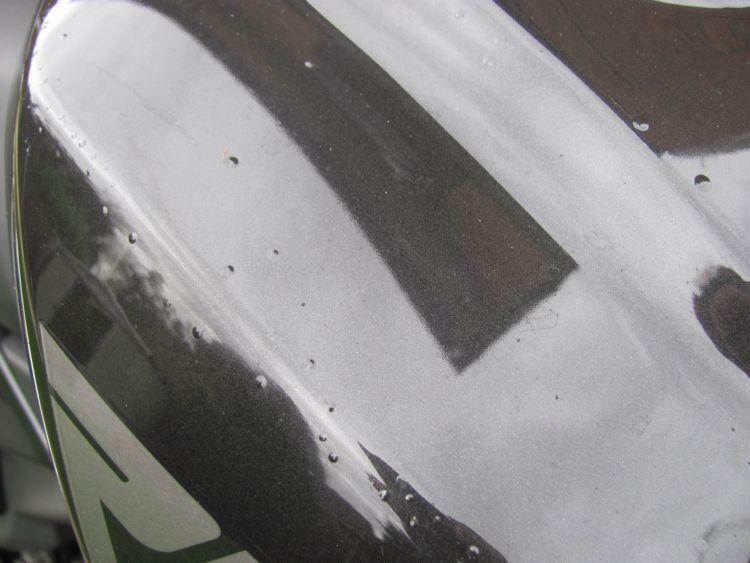 With the help offered from fellow bikers and further research by myself on these blisters it would appear they may be due to some problem with moisture or contamination during the original spraying or sealing of the tank. 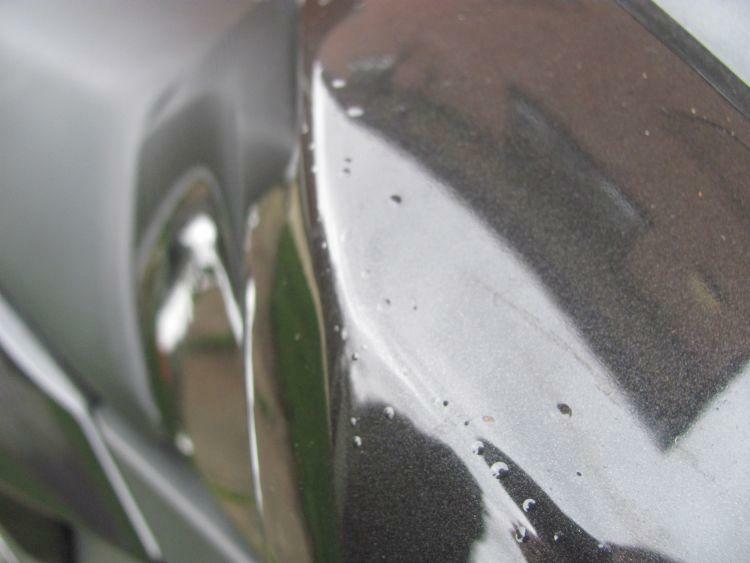 Moisture may become trapped in the paint if it is sprayed in high humidity or if the compressor used is not drained correctly. 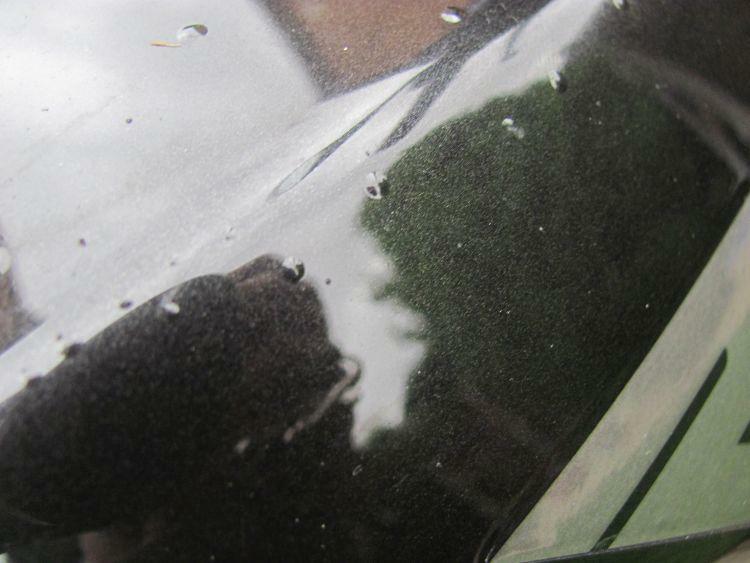 Contamination can occur if the surface is unclean, possibly with oil or grease left on the surface prior to painting. 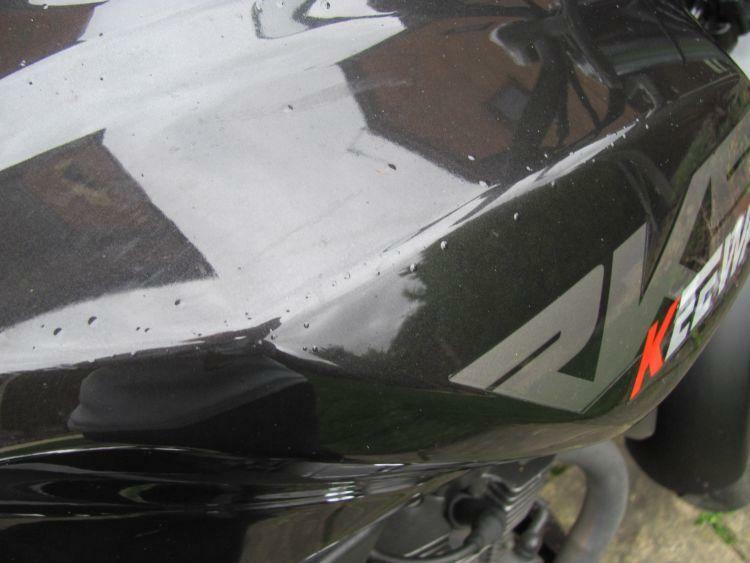 For this reason although the bike is no longer in warranty I believe Keeway should sort out this problem because I do not really find it acceptable that the paint should fail like this after it is just over 2 years old. I purchased my Keeway from MCO (Motorcycle Centre Orrell ) so they were my first point of call. They were very helpful and explained that as the bike was no longer under warranty any decision as to what may or may not be done would have to come from Keeway direct. They supplied me with their service engineers name and email address so I could send him my photographs of the blisters. He will then forward these photos onto Keeway on my behalf. So for now it is wait and see. I will let you know the outcome but in the meantime if anyone else has had a problem like this please let me know. From what I have read other brands have suffered this kind of blistering to the tanks so it is not just a Keeway problem. I would like to know if anyone has has a definitive explanation for these blisters and how wide spread this problem is be it in Keeways or an other brands. 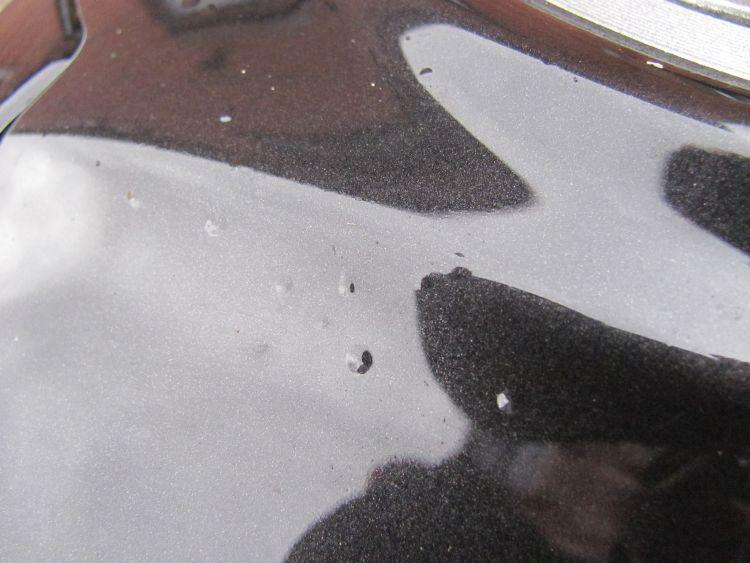 No facts Sharon but just a thought, if water based paint was used then this could be the problem, metal and water together, with little or no primer on it? Like I said just a thought. I would say it's paint applied to metal with an inadequate (or completely absent) corrosion inhibiting primer. So you've got rust blebs forming under the paint.